This country estate is a nature loveres sanctuary. Located at 4132 Fairview Road in Columbia, the home sits on 60 acres of land conveniently situated just over the Williamson County line. Donet let the Columbia address fool you. Ites only five minutes to 840, 20 minutes to downtown Franklin, and even closer to amenities like shopping in Spring Hill. This country estate is a nature loveres sanctuary. 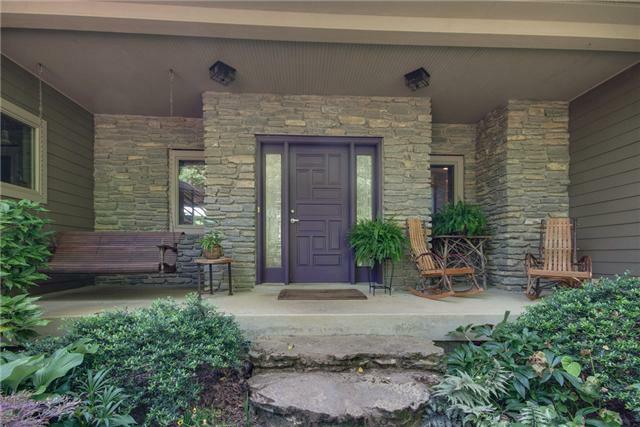 Located at 4132 Fairview Road in Columbia, the home sits on 60 acres of land conveniently situated just over the Williamson County line. Donet let the Columbia address fool you. Ites only five minutes to 840, 20 minutes to downtown Franklin, and even closer to amenities like shopping in Spring Hill. Designed by California architect W.E. Bredthauer, the homees style is influenced by Frank Lloyd Wright and the Craftsman design, creating a distinct, modern home with traditional touches. Priced at $1.2 million, the large, three-story, home is 4,280 square feet and includes a 1,120 square foot basement. 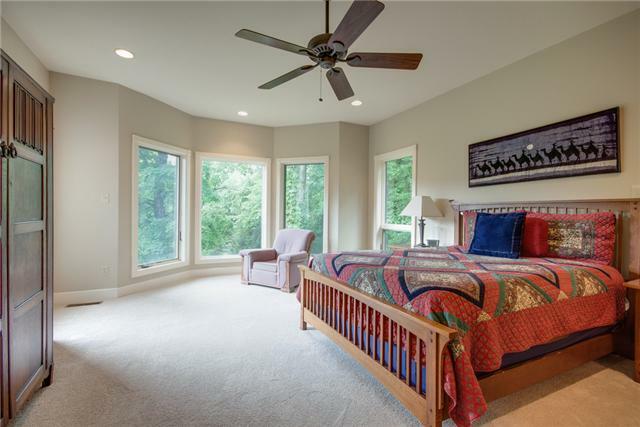 Its four bedrooms, three full and two half baths allow plenty of room for family and guests. 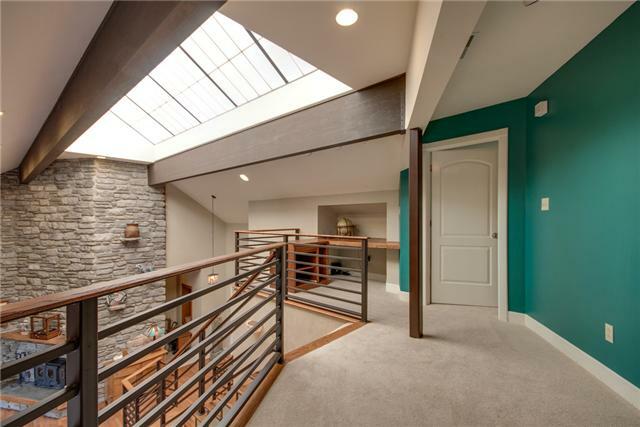 An abundance of natural light enters every room and the views throughout the home are breathtaking. Also bringing the outside in is the generous use of natural stone. 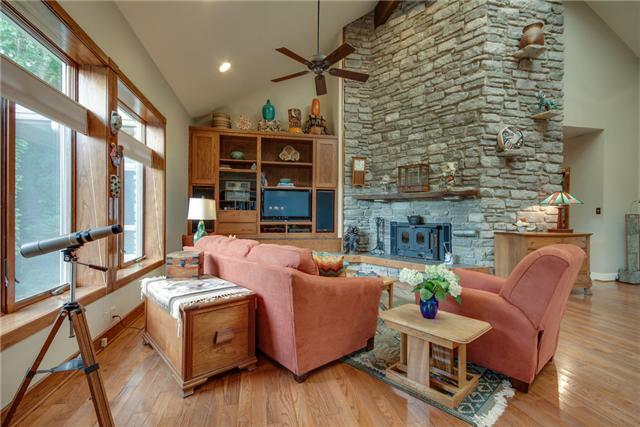 Inside, stone walls and a three-story stone fireplace remind you that youere just steps away from nature. Outside, large pieces of stone are used in the landscaping to create shape. 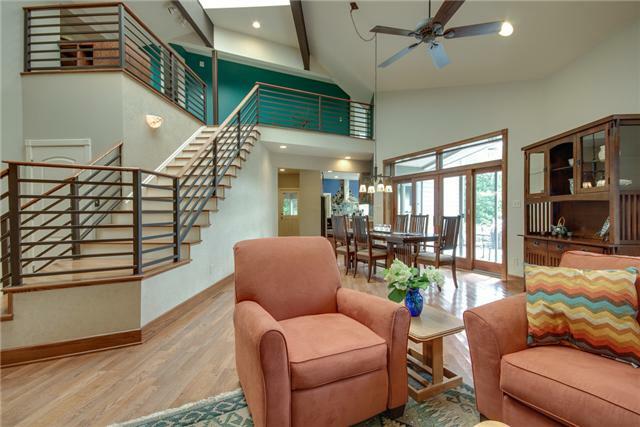 Soaring ceilings and gleaming hardwoods seamlessly connect the wide open living spaces on the main floor. 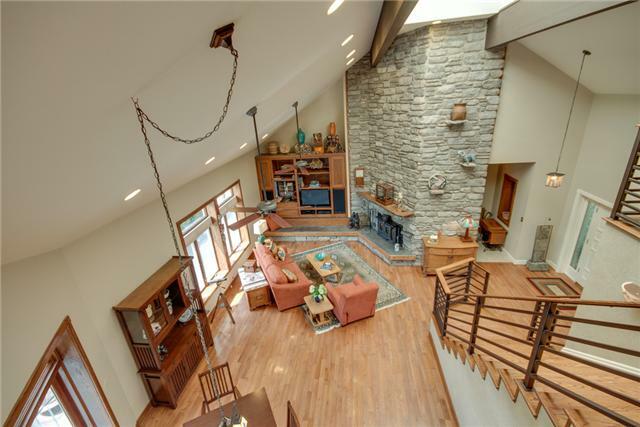 The ceilings in the great room are outfitted with two ceiling fans and a skylight opens the space even more. The large, eat-in kitchen is set up for ease and organization. 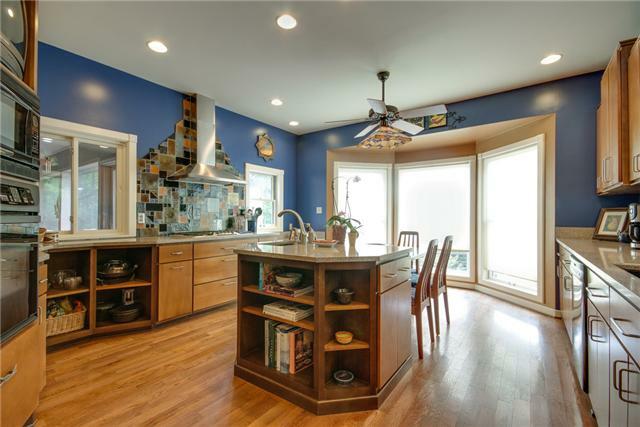 An island provides extra prep and storage space, while the unique and colorful tile backsplash behind the stainless hood serves as a focal point to the large, functional space that opens to the screened porch. The more formal dining area if anything in this comfortable home can be described as formal e’opens to the large patio. The wide, open staircase has a geometric curve and instead of traditional wooden spindles features horizontal steel bracing. 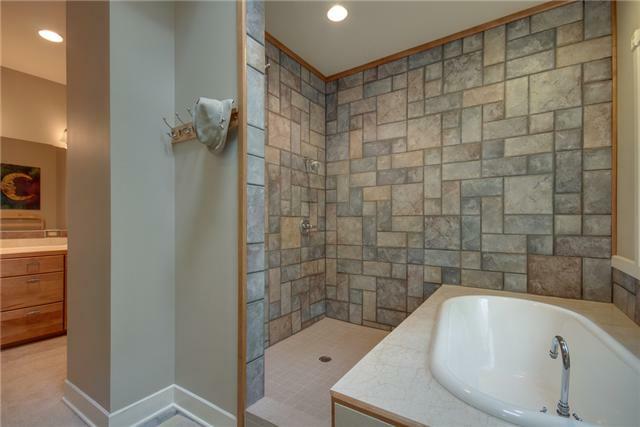 The spacious master suite includes an open-style master bath with a soaking tub and large tiled shower. 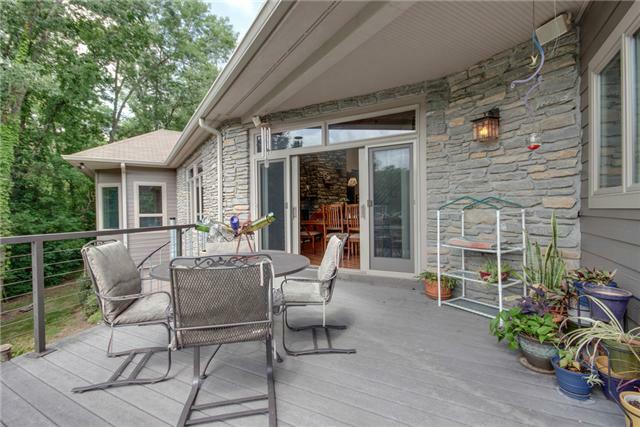 The back yard has a walk-out basement door and space for a table and a fire pit perfect for dinners on warm Tennessee nights. 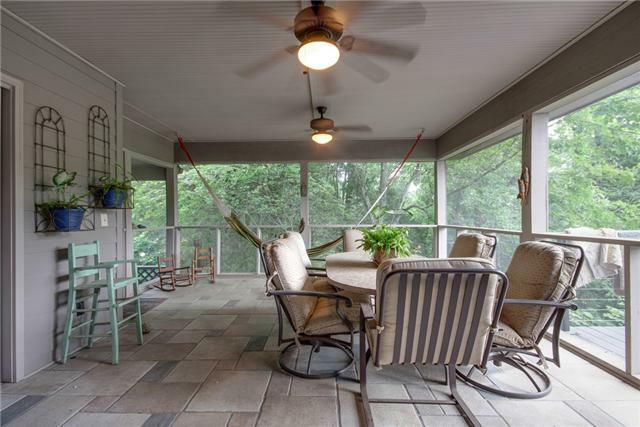 The screened-in patio has stone floors and enough room to hang a hammock. While beyond the doors is a hot tub with only a view of the woods. This nature retreat can be your home. Your 60 acres of land is filled with rich, Tennessee native plants and plenty of hardwood trees. Therees also a stable. This wonderful retreat is zoned for Spring Hill middle and high schools. Fiona Parish King of Worth Properties LLC is selling this home. 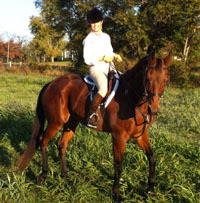 Call her at 615-250-7880 to set up a showing today.